Today was a day of shopping and shopping and lots of spending of money which was fun, but not really. 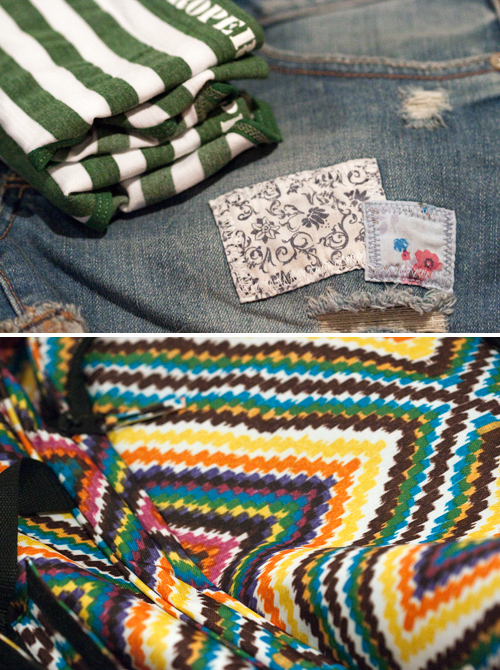 I got some material which I'm excited about because it cost me $4 a meter and is so cute! I am planning to make some t-shirts and a maxi-skirt... possibly not before we leave though :( but I will try and at least get the skirt done. The coral will be the skirt and the other two t-shirts... or possibly skirts too. 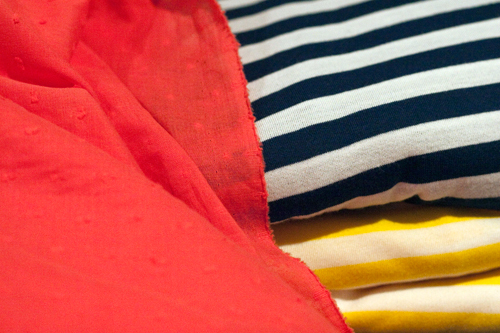 I love stripes at the moment! The other Hippy thing you see there is the bag I bought! I don't have me a suitcase and didn't want a boring, grey number so I went completely opposite and got this super bright Roxy bag. It's really light and pretty much like a duffle bag on wheels, so here's hoping it wears well. I was pintersting on pinterest. Which is a bad bad daily habit and I didn't take my own advice and I signed up for a pinterest account. You should go follow me on there too if you want! Aaanyway, moral of the story - I found a cuuute little pompom owl and decided to make one too. The original tutorial is from here. 1. Wrap yarn around two pompom maker thingy bobs - I just cut these out of cardboard myself. 5. (I forgot to number it - it's the last one for those that didn't get that...) Glue on some felt beaks (well, one), eyes and footsies. And then go awww coz it's too darn cute! 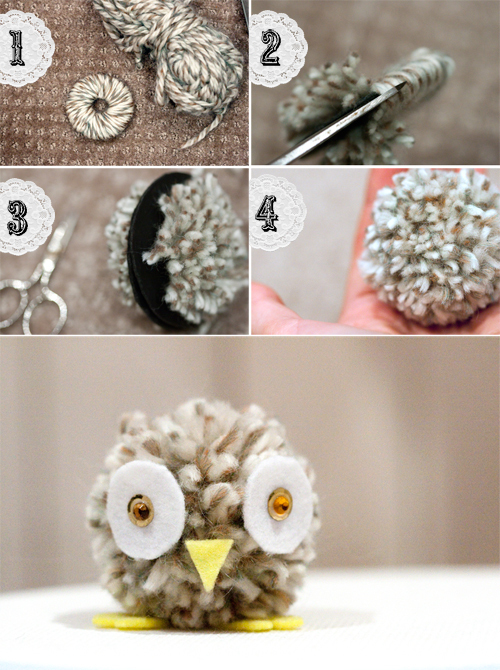 Your little owl is adorable and thank you for sharing the tutorial. I'm already planning my decorations for Hallowe'en and I've just decided that this year's theme will be owls. I'll start making pompon owls this week in various sizes and colours for the Hallowe'en tree and a few more to add to a wreath for the door. Thank you for the inspiration!